This type of system significantly reduces dust, airborne particles, and odors from pets, cooking and tobacco. It's use gets rid of strong odors from unoccupied spaces in a short period of time. If you need air fresheners in you auto, your boat, RV or home, we rent room air fresheners of all sizes. 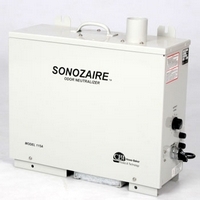 Ozone and air ionization are used in combination to restore damp, musty, smoky environments to clean fresh ones. Consultation with Iris City Cleaners to insure that a proper matching of equipment to the need of the environment is suggested. This equipment is revolutionary in that it eradicates odors, bacteria, viruses, mould and mildew safely and quickly. Ozone is generated in a machine which creates a third oxygen molecule with powerful oxidizing capacity and is circulated in air, attaches to foreign organic particulate and neutralizes it to water and carbon dioxide, thus eliminating the odor. It kills existing mold and bacteria, and is most effective in use with fire and smoke restoration work. 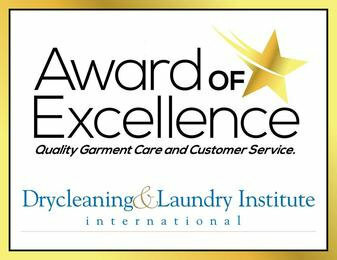 Consultation with Iris City Cleaners is required to insure that there is a proper matching of equipment to the need of the environment. This technology is the latest in environmental odor management. It is expensive and, yet depending on the environmental need, may be the most powerful, safest and economical. It works on the principle of creating hydrogen radicals which have an oxidizing effect on foreign particulate in odor restoration. It eliminates the need for ozone or other masking agents. The revolutionary component is that hydroxyls are emitted from the equipment and decontaminate the odors in everything. Smells are taken out of all articles in the facility or home. This technology is ideal for eliminating odors and bacteria caused by chemical spills, noxious gasses, gray water, mold and mildew. It is ideal for hotel rooms, classrooms, prisons, animal shelters, locker rooms, day care centers, hospitals, veterinary clinics and long term care facilities. 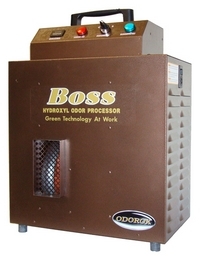 The Boss will eliminate odors caused by fire, flood, chemical spills, grey water, protein fires, mold and mildew. It's designed for heavy concentration processing. For example, clothes in a closet will be odorless in just a few days. The product is 100% safe to work around while it is on. Articles can be treated on-site with out having to remove to an specialized treatment room. Bacteria is eliminated by making the space odorless so that it can't reproduce. Mould is starved out by eliminating bacteria. The Odorox M.D.U. (Mobile Disinfection Unit) and The Boss are the right choice for medical, clinical, institutional, hazmat, veterinary or hospitality use. It can decontaminate up to 2000 sq. ft. It is equipped with a variable speed control and hour meter. A washable filtration medium is included. Uses: The MDU is ideal for eliminating odors and bacteria caused by chemical spills, noxious gasses, gray water, mold and mildew. It is ideal for hotel rooms, classrooms, prisons, animal shelters, locker rooms, day care centers, hospitals, veterinary clinics and long term care facilities. 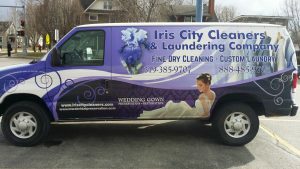 Consultation is required prior to rental or application of this technology with Iris City Cleaners to insure that a proper matching of equipment to the need of the in the environment. The technology within the system. 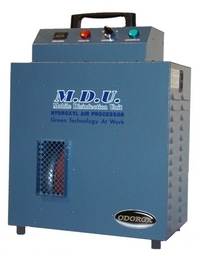 The ODOROX Hydroxyl Generator is a complete odor elimination, air decontamination and purification system. The manufacturer, HGI Industries Inc., is a U.S. based company whose hydroxyl technology is at the forefront of high-volume air processing. The ODOROX Generators use a two part treatment process to eliminate a long list of biological and chemical pollutants. One part involves directing air through a sanitizing chamber. This chamber harnesses multiple nanometer wavelength and frequency ranges. The first segment of the optics deodorizes the air flow, while the second segment destroys bacteria and other micro-organisms and prevents them from multiplying. The result is purified air which is then channeled back into the environment. These wavelengths also combine with ambient air humidity to create hydroxyls, which are the key to the second part of the decontamination process. Hydroxyls (-OH molecules) occur naturally in our atmosphere when sunlight hits water vapor. They are so small that ten billion-billion would fit into a drop of rain. Despite their diminutive size, hydroxyls are probably the single most important cleansing agent within our environment. Hydroxyls are: 33% more effective at oxidizing pollutants in the air than ozone, and 2.5 times more germicidal and fungicidal than chlorine. This makes them the most effective method of eliminating bacteria, viruses, germs, mold, volatile organic compounds (VOC's), chemical fumes, gasses, vapors and unpleasant odors available for use. The problem is that hydroxyls are not naturally occurring indoors, therefore, due to the absence of the hydroxyls, indoor air quality is said to be 10 to 100 times more polluted than outside air.